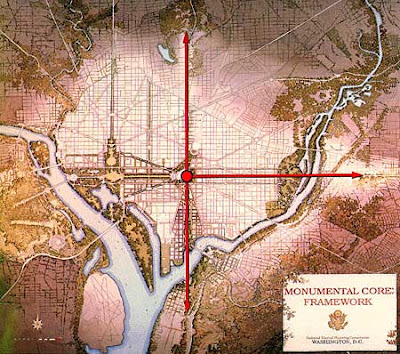 0 Comments Published by Cedric Benetti on Tuesday, September 9, 2008 at 9/09/2008 09:49:00 PM. 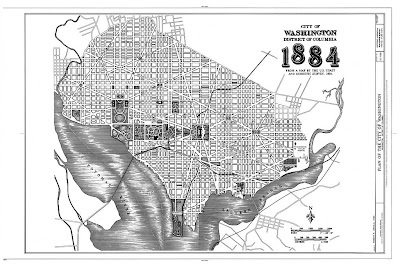 My picture archives are so hopelessly stuffed with maps and architecture that I thought I'd share some with you. 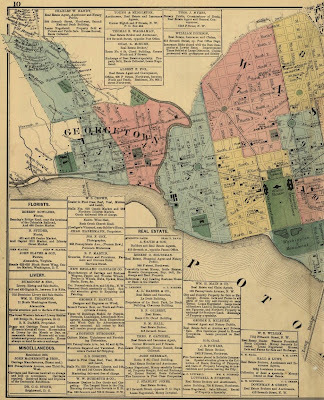 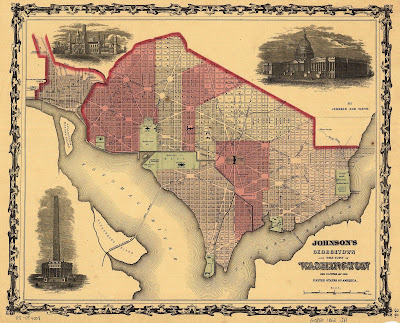 Enjoy various maps from different periods of the American Capital. 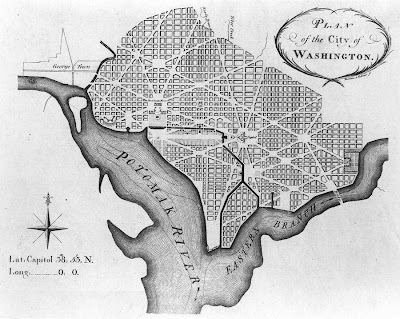 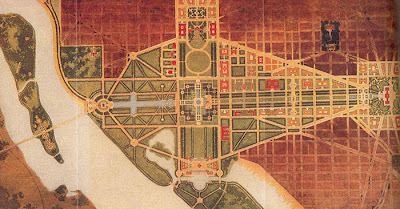 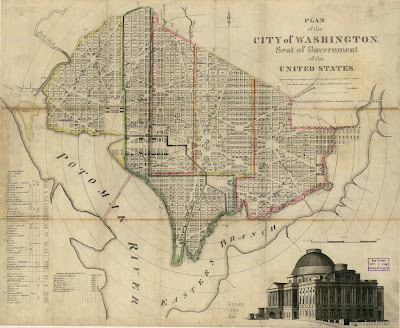 The plan of the city of Washington was designed in 1791 by Pierre L'Enfant, and mapped the following year; a design which remains largely in place. 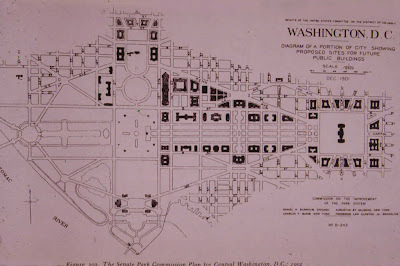 For nearly a century, the realization of physical changes to the original plan were gradual until the second important benchmark in the development of Washington's urban plan: the McMillan Commission and its 1901-02 recommendations. 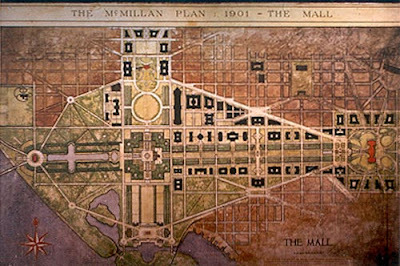 The McMillan Commission plans were implemented during the first three decades of the 20th century, and continued sporadically thereafter. 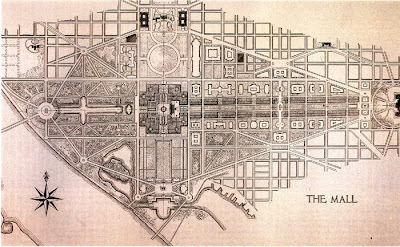 For nearly 100 years, a legal height limit of 160' has preserved the broad, horizontal Baroque nature of the city, allowing light and air to reach the pedestrian level, and resulting in a picturesque skyline pierced by steeples, domes, towers and monuments.